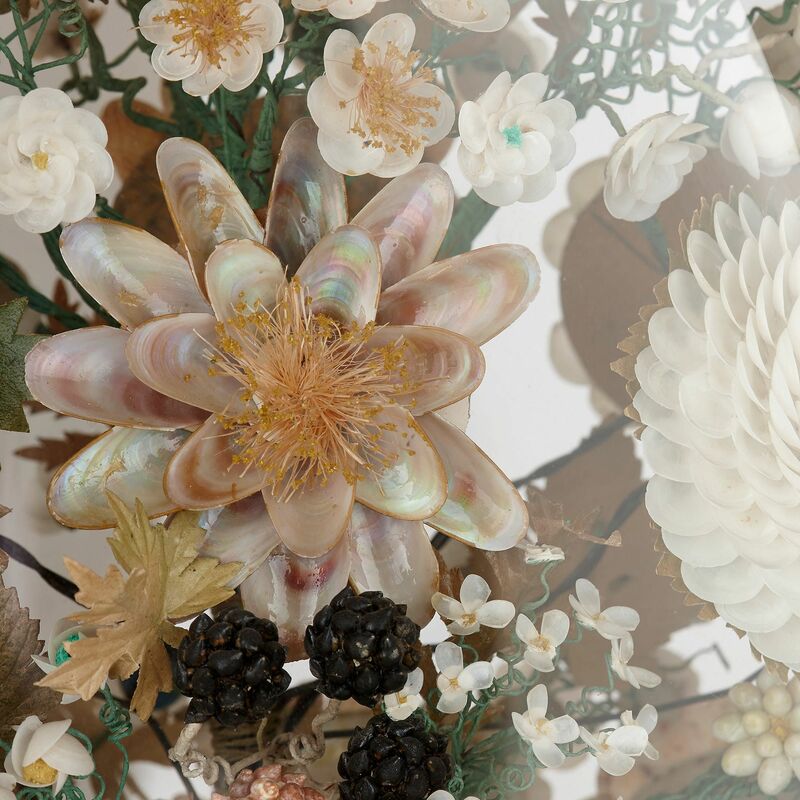 While they may look like floral bouquets, these pieces are composed of hundreds of different seashells, carefully arranged and painted to imitate flowers. 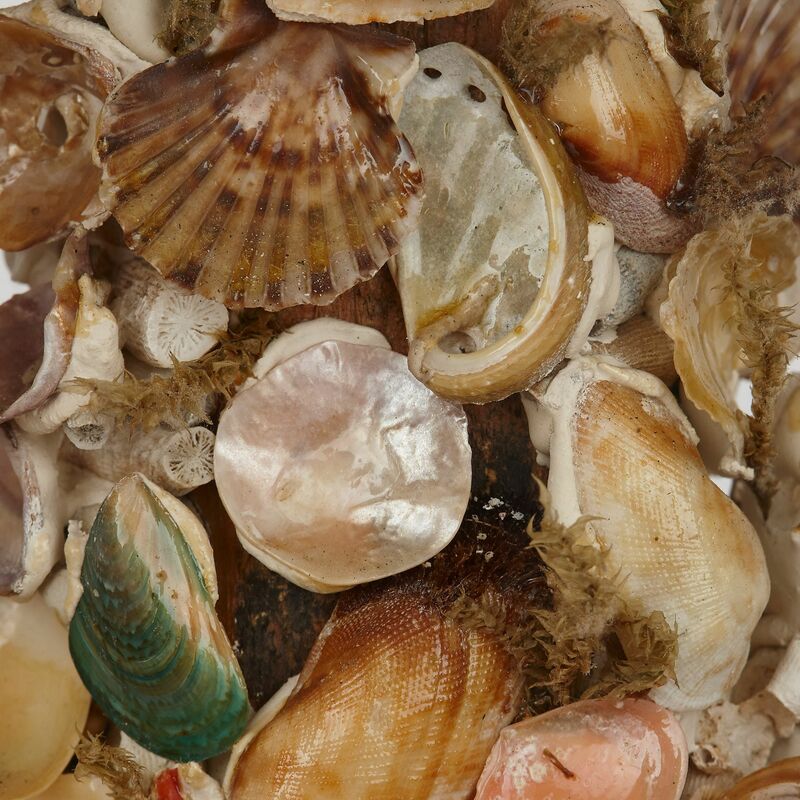 These shell-works were crafted in England in the Victorian period (1837- 1901). Shell-work was highly fashionable in this period, particularly among the aristocracy. 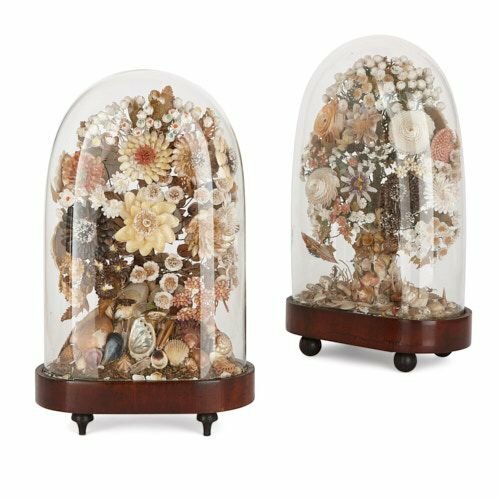 It became a popular pastime among middle and upper class Victorian women to use shells to decorate small boxes, mirrors, frames etc. 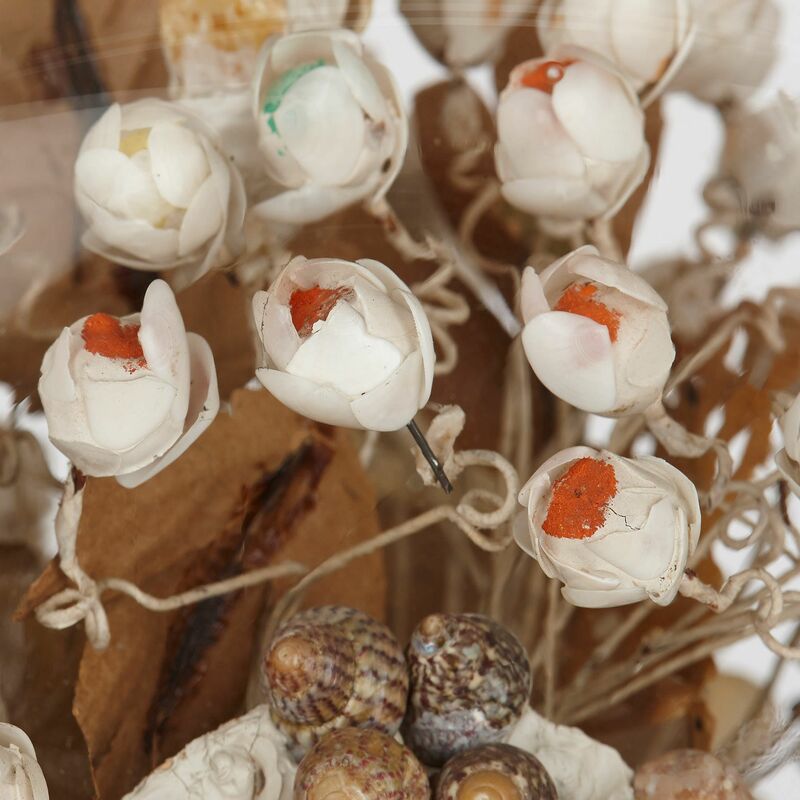 Shell-works like these are sometimes referred to as ‘Sailor’s Valentines’, since they were often brought back by sailors and given to their loved ones as souvenirs of sea voyages. 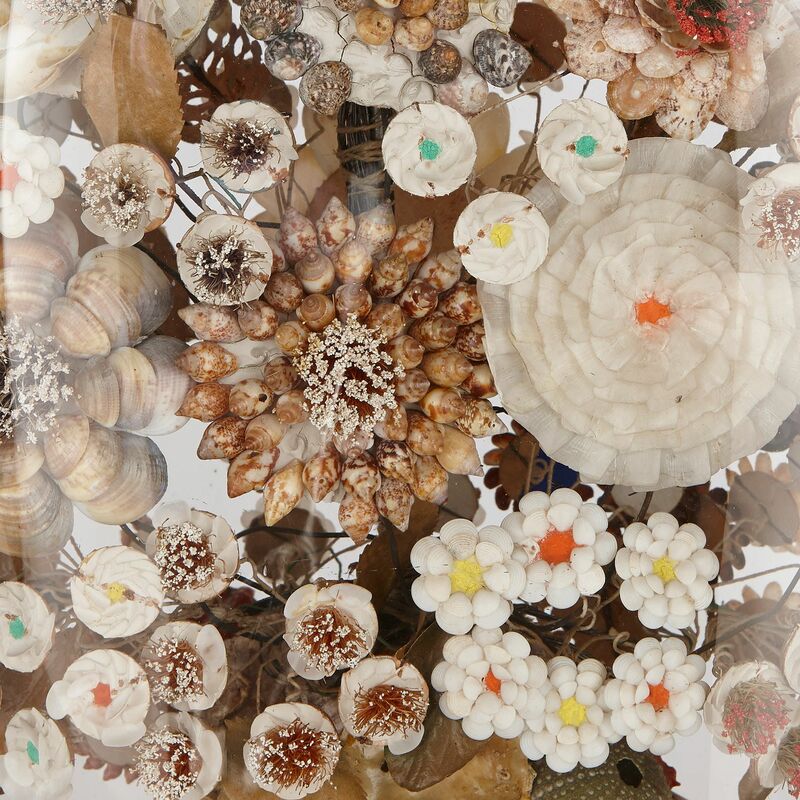 The items are similarly designed, each being composed of hundreds of different seashells. 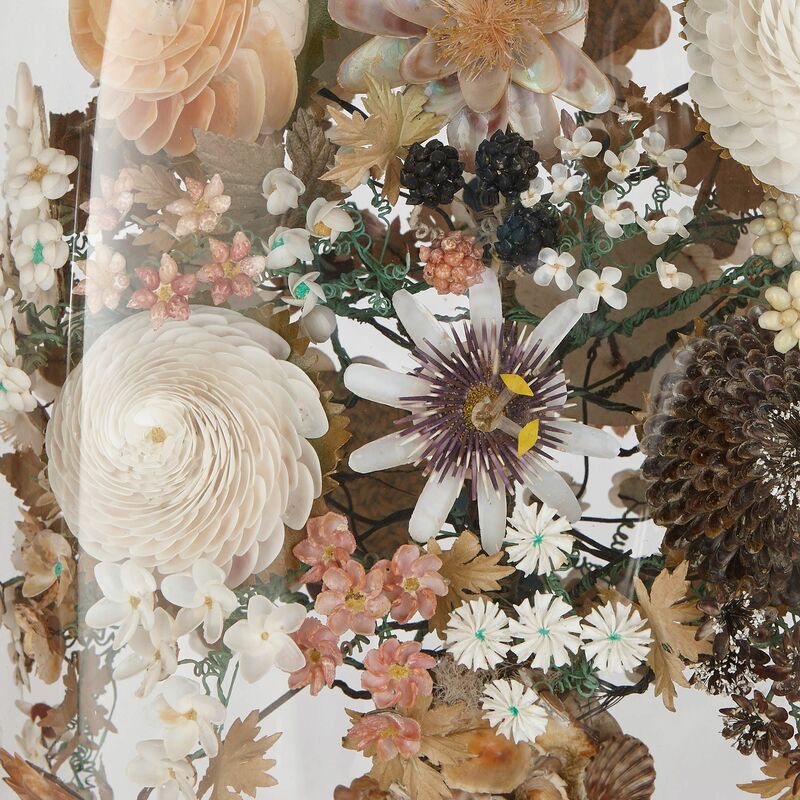 These have been meticulously positioned, using wire, and hand-painted so that they imitate floral bouquets. The flowers vary in their type and colour, ranging from white carnations to pink peonies and roses. 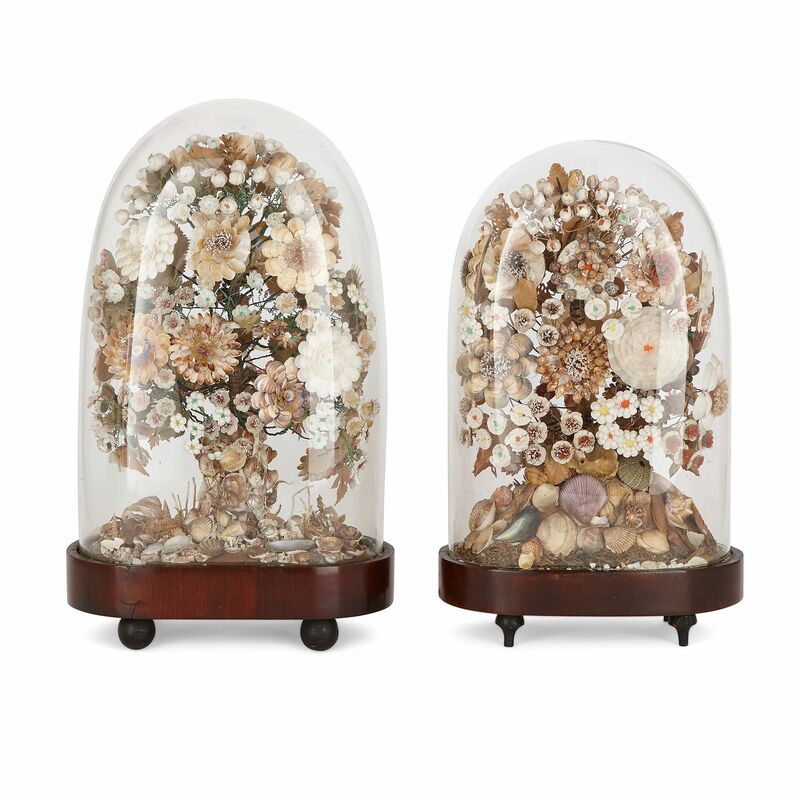 Both shell flower arrangements are contained within glass domes, set on wooden bases. One dome base is raised up on four ball feet, and the other on four peg feet.